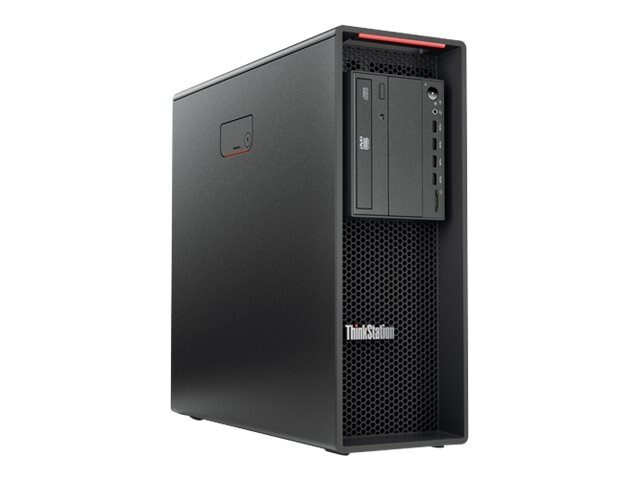 Lenovo's ThinkStation P520 Tower workstation balances lightning-quick computing and professional graphics. With cutting-edge storage, memory, and cooling, it handles everything with ease—from huge workloads and complex modelling to virtual reality. Configurable and energy efficient, this 33L Tower workstation is designed with performance and reliability in mind. 4.0GHz with 4 cores. Memory speed up to DDR4-2666. 16GB (1x16GB) 2666MHz ECC RDIMM DDR4 SDRAM, upgradeable to 256GB. There are eight DIMM slots with four channels. One slot is occupied by a removable 16GB module; the other slots are open. Video memory: graphics card(s) sold seperately. Genuine Windows 7 Professional 64-bit Edition is pre-installed via downgrade from Windows 10 Pro. Up to one full height, full length PCIe 3.0 x16 adapter, supports four M.2 slots. Up to two 5.25” slim ODD cages. Up to two 5.25" slim ODD and HDD cages. Up to one Front Access Storage Enclosure. Integrated Intel SATA AHCI/RAID controller, 6Gbps SATA, supports RAID levels 0/1/10/5. Intel i219LM, integrated gigabit ethernet, supports Wake-on-LAN. Limited onsite service with 9x5 next business day response time.